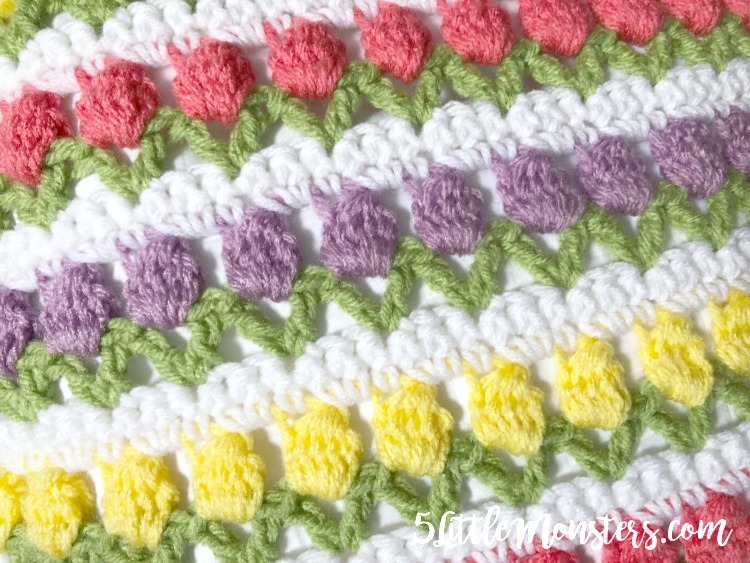 The tulip stitch is a unique stitch that when worked in certain colors looks like rows of tulips. 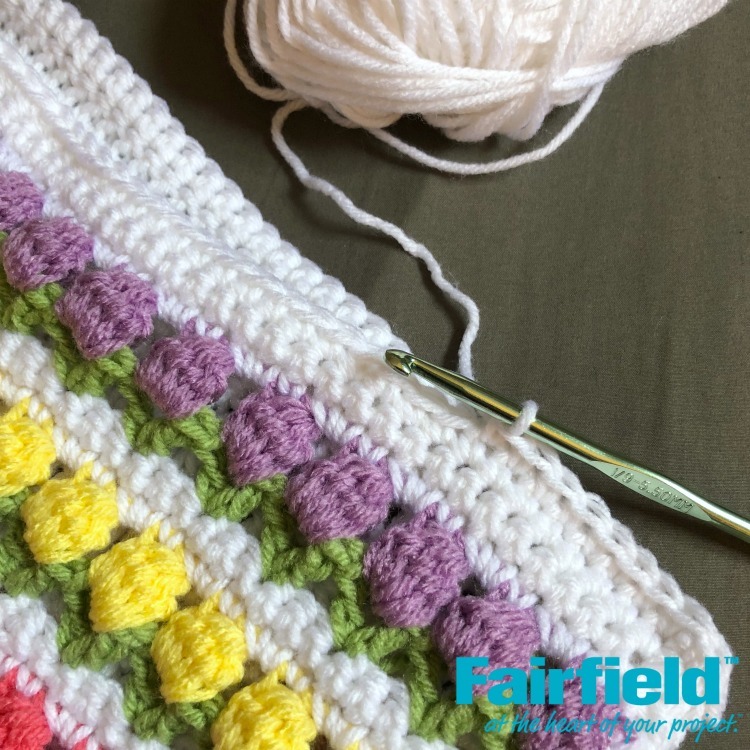 It is a perfect crochet stitch for springtime. 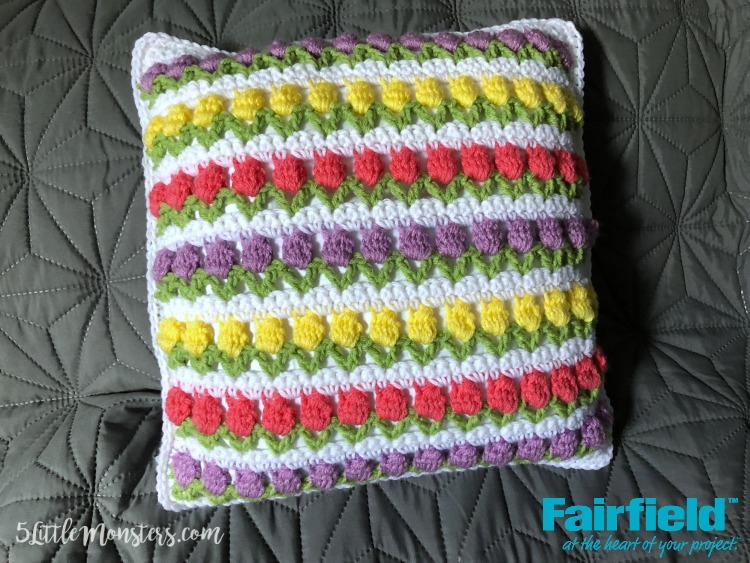 I used it to make a pillow and I am sharing the free pattern over on the Fairfield World site. 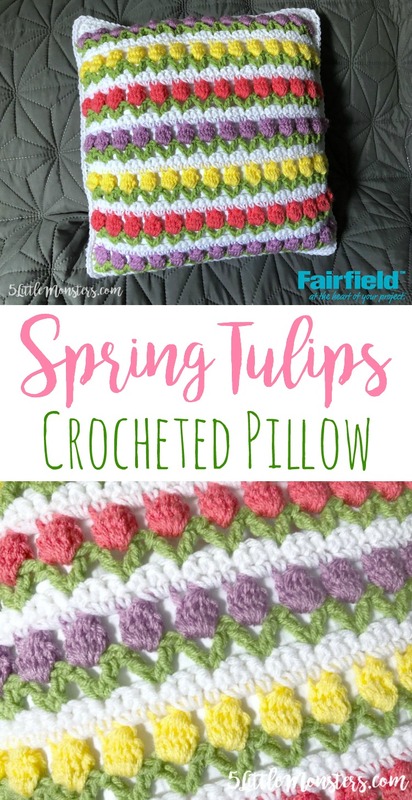 This pillow is perfect to throw on a couch or bed to bring a little spring into your house. 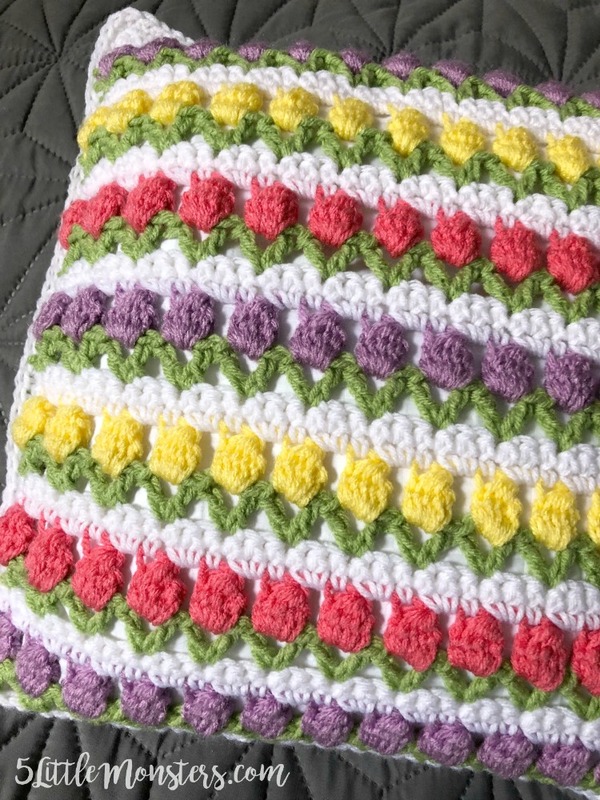 You can make your tulips all one color or change colors each row. I opted to use 3 colors, purple, pink, and yellow, and repeat them as I worked, along with white for my background color and green to make the leaf rows. 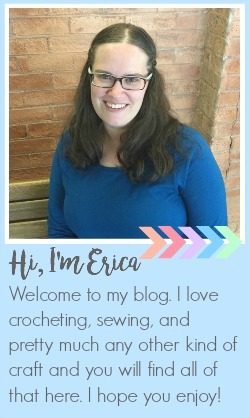 You can find the free pattern on the Fairfield World site.